Happy Thursday! 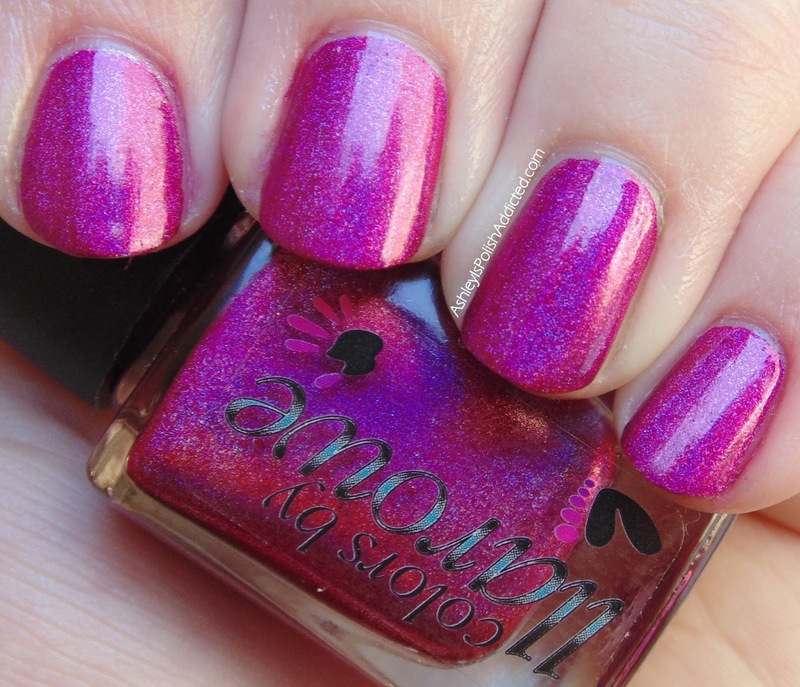 I have a stunner to show you today! 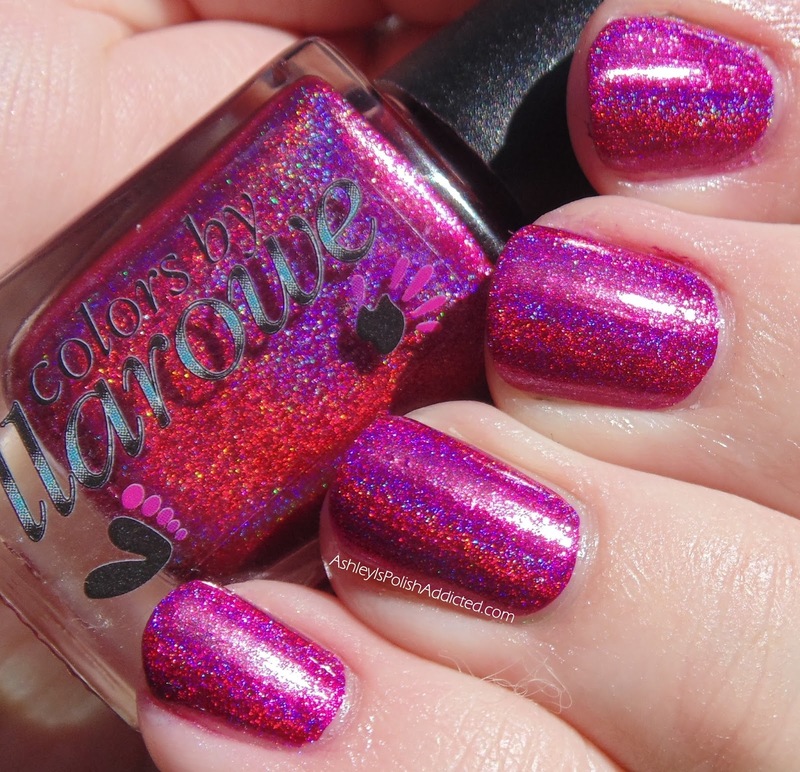 Colors by Llarowe Courage, Brains, Heart is exclusive to April's A Box, Indied subscription box. 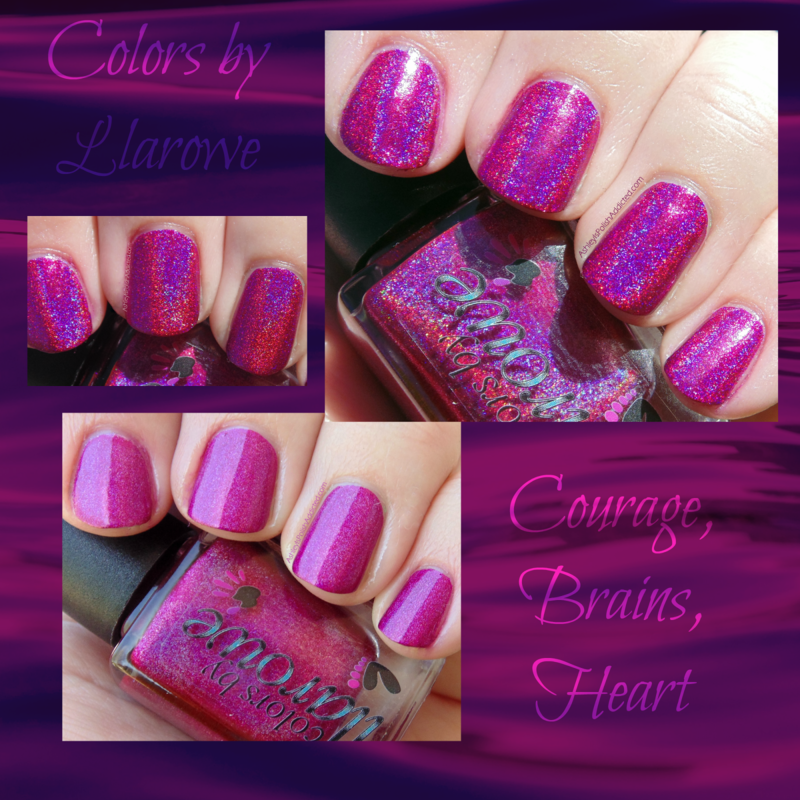 Courage, Brains, Heart is a deep, yet bright, magenta with an intense red and purple linear holographic rainbow. It is absolutely gorgeous in both the sun and shade. It could definitely be a one-coater. In fact, I almost stopped at one coat but I'm a creature of habit and did two. 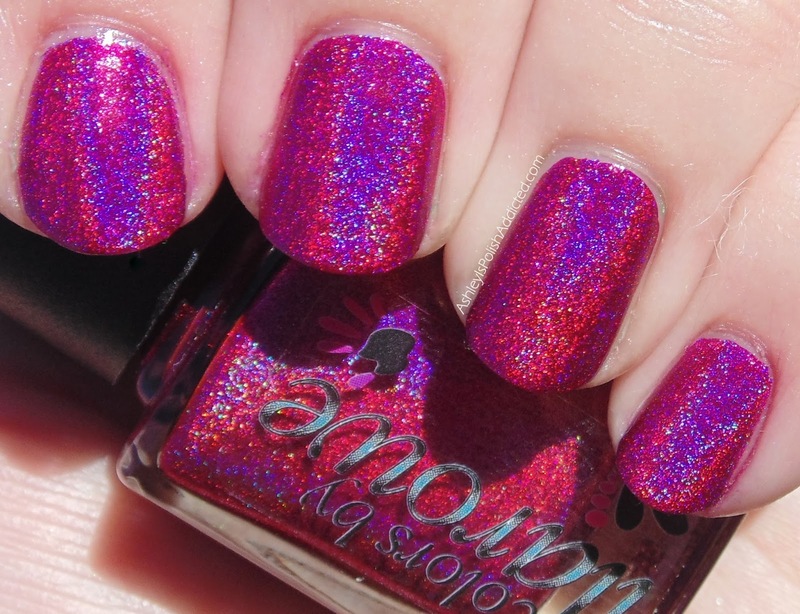 No top coat for the photos. I want it!! 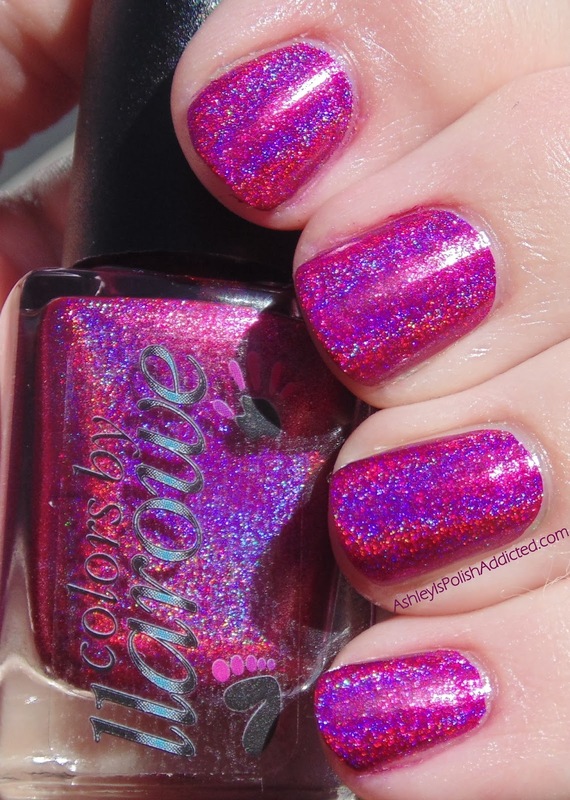 Great swatches Ashley! !